You've Heard That Sellers Buying Used Books From Thrift Stores Are Re-selling Them For Major Profits on Amazon, Right? Now You Just Need To Find Out The Secrets So You Can Be On Your Way! When I first got introduced to selling on Amazon over 8 years ago, it was to sell used books. And let me tell you, I had a pretty quick realization that it just wasn't for me! So why then would I be here today talking to you about selling used niche books on Amazon FBA? Because a few years later I gave it another go…Things had changed dramatically with the way that Amazon worked (mainly the introduction of the Fulfillment By Amazon - FBA program!) and the way that sellers could find books to sell (hello scanning apps!). The landscape of how to sell used books on Amazon had changed a lot and was much more appealing to me. Having instant access to the current selling price and rank of books meant I could make better decisions if a book was worth buying to resell on Amazon or not. But…I'm not talking about buying books in bulk and selling them for $4.00! First, booksellers who purchase large quantities of books that sell for pennies and make money on the excess shipping charges (like $.50/book). These booksellers make their money by sheer volume in the number of books that they sell. Second, booksellers who focus on high dollar books and just sell books that meet their GREAT profit expectations. They sell fewer books overall but make up for it in the price per book. Which Method Sounds Best To YOU? If you are anything like me, then you would prefer to sell fewer books, but focus on choosing the RIGHT books! Maybe you are even like I was in the beginning, and you have TRIED without luck to make money from selling books on Amazon? You probably realized it was a TON of work for not so much PROFIT. I've always wanted to know how to sell used books on Amazon, but I just didn't know how to go about making a good purchase decision. Purchasing books has always been overwhelming to me. I've stayed away from books because the grading of the books was never clear to me. Your ebook has now inspired me to dive into the book section of the thrift stores that I often visit. Your courses are always very detailed, but brief and to the point. You explain each step without missing a beat. I'm excited and even inspired to add niche books to my inventory. I really like that you use “real” examples and pictures. I'm a visual learner so this is super helpful to me. Thank you, Jessica, for the great tips and tricks! The Secret To Making Money Selling Books On Amazon Is In The NICHES! Ok, I'm about to get cliche, and I apologize ahead of time. We've all heard the phrase “The riches are in the niches.” And it's true when it comes to selling used books on Amazon! And the more unique the “niche”, the better! Which of these books do you think would sell for a higher price? If you said the second option, you would be right. There are hundreds and hundreds of books available for someone who wants to just “raise birds.” But someone who is looking to create a business around those birds is looking for something a lot more unique…aka NICHE. If you saw this book in a thrift store for $.50 would you think you could sell it for almost $100?!? I bet not. And that's where Niche Book Profits comes in! I am here to help you learn to source the RIGHT books, saving you both time and money. When you find the right books, they often sell for 10x, 20x and even 50x the price you pay for them. I want to share with you the secrets that made sourcing for used books FUN again! After reading this guide, you will have a hard time passing up any pile of used books, because you will want to just “scan them quick!” and see if there are any GREAT books. Still Not Convinced Niche Book Selling Is For You? But it sure has some of the highest margins! When you can easily find low cost, very high profit “niche books” at Thrift Stores, Book Sales and Garage & Yard Sales, you will learn to love the bookselling niche. If you are already an Amazon FBA seller, it would be effortless for you to add niche books to your inventory. I'm not saying you need to stop doing things like retail arbitrage…I'm saying you can just add some high-profit books to supplement what you've got going already! If you could spend $10 on books and then flip them on Amazon for over $100 in profit, would that be something that you turned your nose to? I bet not! As Amazon sellers, we are into MAKING MONEY in whatever way works. This course was very helpful for me. I really had NO idea where to start. I had already looked at some videos on YouTube, but didn’t find them very helpful. I tried going out on my own to figure it out and came home with nothing. It was very frustrating! It never occurred to me to look for niche books, but it makes total sense! After reading The Selling Family's guide on how to sell used books on Amazon, I happened to see some gift books in the clearance section when I was shopping at Kohl’s yesterday. First, I’ve never seen books at Kohl’s before (they must have been sold at Christmas time only), and second, I NEVER would have thought to scan them. I ended up buying every book they had and I think they’ll do well on Amazon. I can’t wait to go looking for books again. I feel a lot more confident now that I know what to look for. Thank you Jessica! The whole purpose of this guide is to show you exactly how to find the RIGHT books by focusing on the most profitable niches while skipping the junk (aka low priced books, not actual junky books). After reading this guide, you will go into your next thrift store armed with the system that will help you navigate what could be rows and rows of books, while you only need to scan a small percentage of what's on the shelves. You will be surprised by some of the boring little books that bring in huge profits. If we went by our personal preference in books, we would miss out on the books that have made the most profits! Books are heavy, and each one needs to be processed individually, so I want to make sure that you don't buy anything that isn't going to bring in sweet profits (I prefer to only sell books over $25, but you may choose a slightly lower threshold). When I first decided to sell used books as an FBA reseller, I purchased a course that dove deep, deep, DEEP into #ALLTHETHINGS one might ever need to know, do or buy to sell used books on Amazon. The result? I froze. It was way too much, way too soon. Jessica’s “Niche Book Profits” is nothing like that. In fact, the guide is precisely what it promises to be – an Introduction. It skims the surface of the book buying and reselling iceberg to teach you the essentials of what you need to find, source, grade, and price used books to begin making sales and generating profit. Then, when (and if) you’re ready to dive deeper – you’re ready. 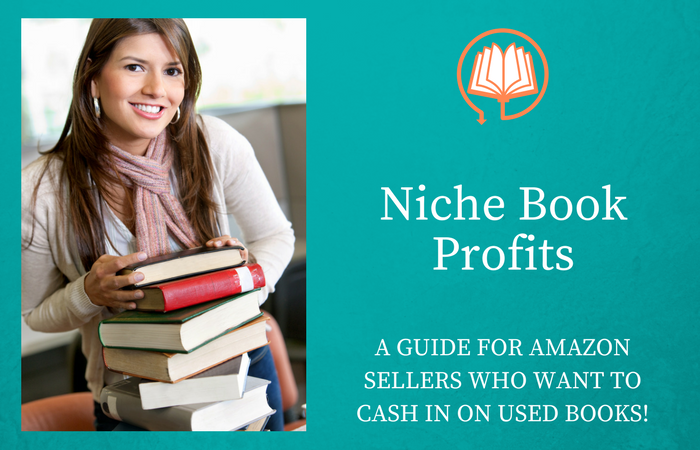 Ready To Get Started Sourcing Niche Books To Resell On Amazon? Don't Just Take My Word For How Awesome It Is! Like all of The Selling Family courses, the Niche Book Profits guide is comprehensive and helpful. Jessica is great at breaking things down into simple and easily duplicated steps. The examples are excellent and give you some solid ideas about what to look for when searching for niche books. I would recommend this to anyone and everyone looking to add another facet to their Amazon business or those looking for a low investment way to begin selling on Amazon. Reviewing Niche Book Profits as an Amazon newcomer, my objective was to feel like I could walk confidently into an opportunity and not lose my nerve. By the end of the book I actually was quite excited to add niche bookselling to my young business. Thank you Selling Family for building confidence and helping other families to succeed. This book opened my eyes to a lot of new ways to look at books. It has been such an overwhelming market to dig into, but this clarified some ways to make it simpler. It has made it clearer on what I need to do to make better decisions when I am out sourcing. It has opened up a previously untapped market. The steps given are clear and concise. It is a true step by step guide to finding the most profitable books. I am super excited to go out and do some searching! Grab your copy of Niche Book Profits today and let me guide you through adding used niche books to your Amazon FBA business model! 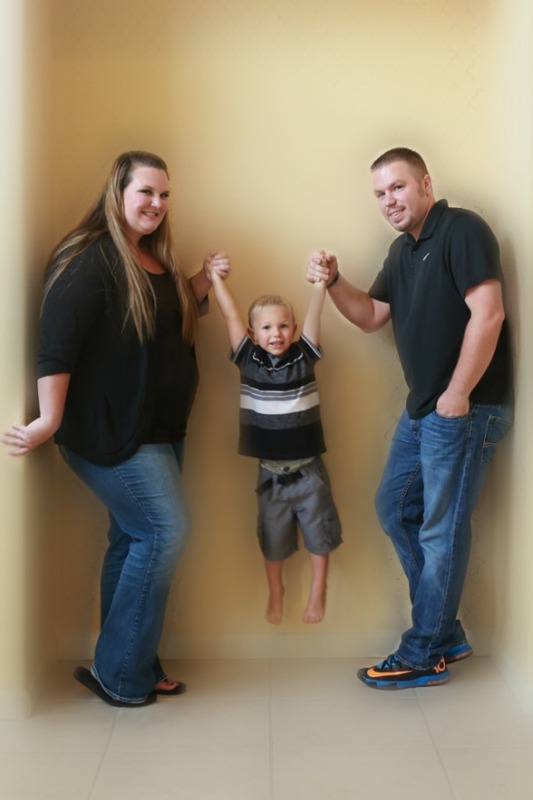 I'm Jessica Larrew, and I am 1/3 of the crew here at TheSellingFamily.com. I'm the teacher of the bunch, so the training comes from me. But the stories include us all! I started selling on Amazon full time when I was 24 (over 8 years ago) and was able to bring my husband home to work with me in the business. A few years into us both working from home selling on Amazon, people started to get curious and wanted to know exactly what we were doing to make money from home and have so much time to do fun things. I was spending a lot of time helping people locally build their own Amazon businesses and decided to take it all online so that I could help more people at the same time. Now, my biggest passion (besides spending time with my family) is helping other people make money from home! I've been told I have a knack for teaching in a way that is easy for people to understand and I love creating trainings, so it's a win-win for everyone! So, that's the 5 peso version of who I am!